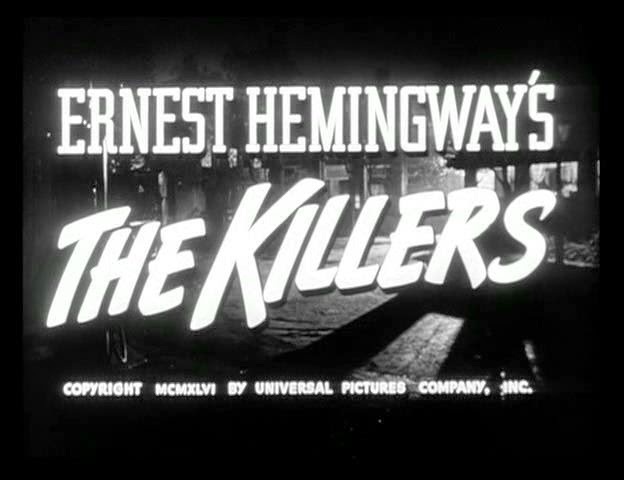 Today's film is the "1946" feature "The Killers". It's directed by Robert Siodmack, written by John Huston and Richard Brooks, based on the story by Ernest Hemingway (I don't how how faithful it is as I haven't read the book). It stars Burt Lancaster, Ava Gardener, Edmond O' Brien and Sam Levine. As far as I can tell, it's a film about how the past catches up to us, even if we thought we thought we had established new beginnings. So let's jump into this somber tale. 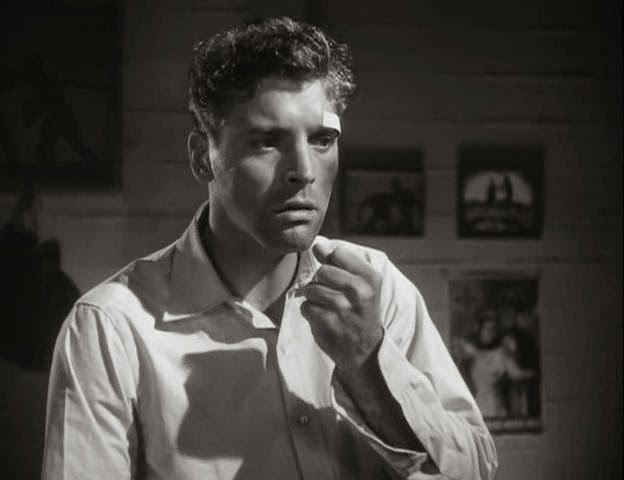 Burt Lancaster (of later "The Sweet Smell of Success" fame) stars in his film debut as "The Swede", given the names of Pete Lund and later, Ole Andreson. He is only in one scene before he is gunned down by two memorable hitmen (after being shown to be very accepting of his fate). His backstory is then shown through a series of flashbacks, as his murder is investigated. In these scenes, Lancaster has undeniable presence, but is stil a bit more humble then he is in later iconic roles, despite his size. He has a quick temper though, and is quick to resort to violence, and I have to say his punches look pretty painful. 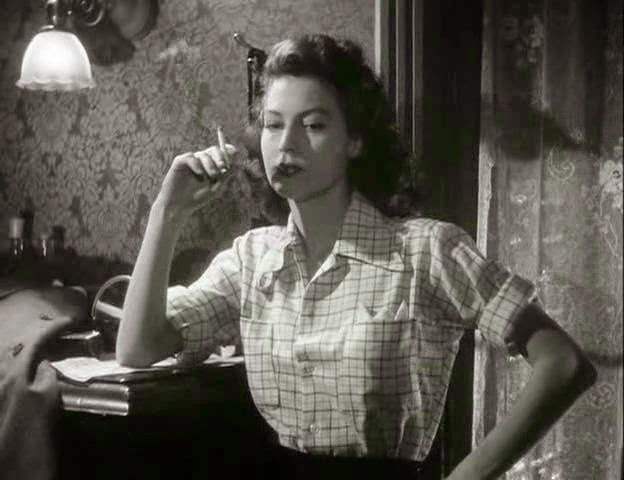 The femme fatale of this piece is Kitty Collins, played by Ava Gardener. Like many noir femmes, she's a singer. She's a standard yet well-executed femme; deception and allurement are her stock in trade. Gardener brings a dark kind of beauty to the role; you believe it when men fall over themselves to do time for her or be backstabbed by her. I'd even say she's a strong female character, though she posesses dubious morality; she's willing to tell even gangsters to step off. 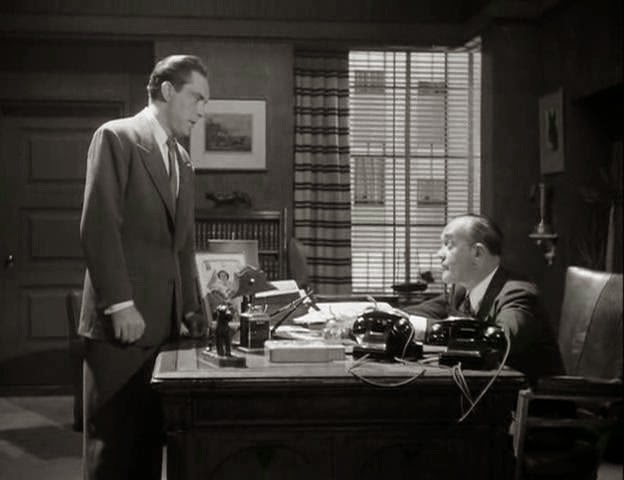 Edmund O'Brien plays insurance investigator Jim Riordan. 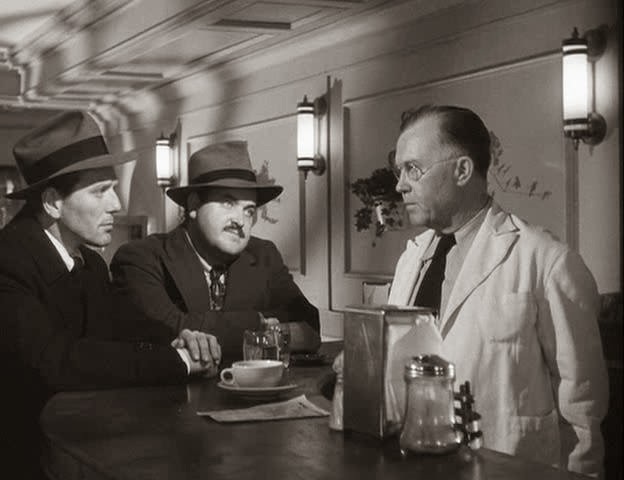 Fans of such films as "Double Indemnity" know about the role of insurance in noir; it's serious business. He's determined to solving the case despite his higher-ups telling him to let it go. (The motivation behind this seems to be they wish he would focus his efforts on something else.) His investigation is the framing device for the narrative: he pieces the story together from the stories of characters from Andreson's past. He's not an especially memorable character, but works as the blank slate detective who puts the pieces together. The main theme of this film, I'd say is new beginnings, and how unstable they inherently are. If you've seen "Out of the Past", you'd know that some film noirs love this trope. By the time the events of the beginning occur Kitty Collins has married a respectable husband and has settled into a respectable life, but the past is always there, waiting to catch up with her. Big Jim Colfax has a similar situation: he has gone into legitimate business, but ultimately suffers the fallout from his former life. 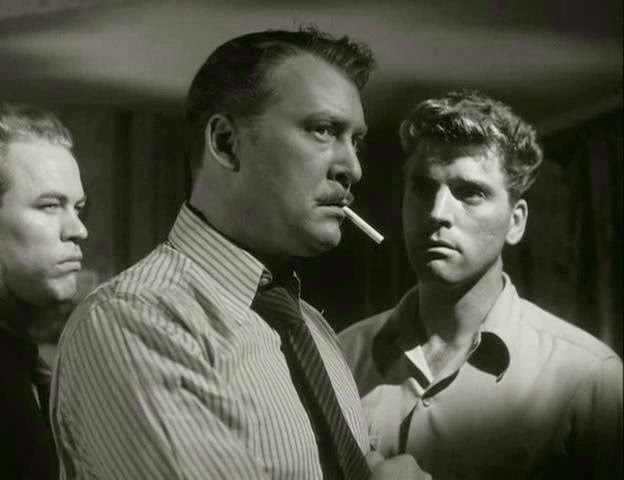 This film is another in the noir pantheon that espouses cynicism when it comes to the "fresh start" concept. There are no clean breaks, not in this life. Random Thoughts: The film is fond of long, uninterrupted shots, most noticeable in the heist scene, but also in some dialogue scenes too. Best Line: "Don't ask a dying man to lie his soul into Hell," said sternly by Sam Levene (who also appeared in "The Sweet Smell of Success").